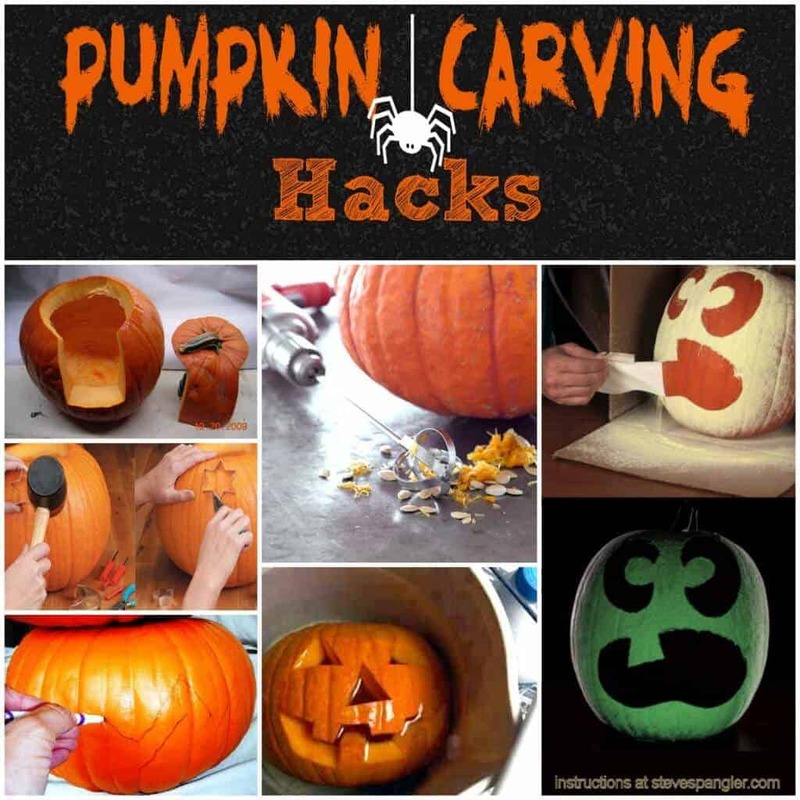 No-carve pumpkins have all the style minus the mess! 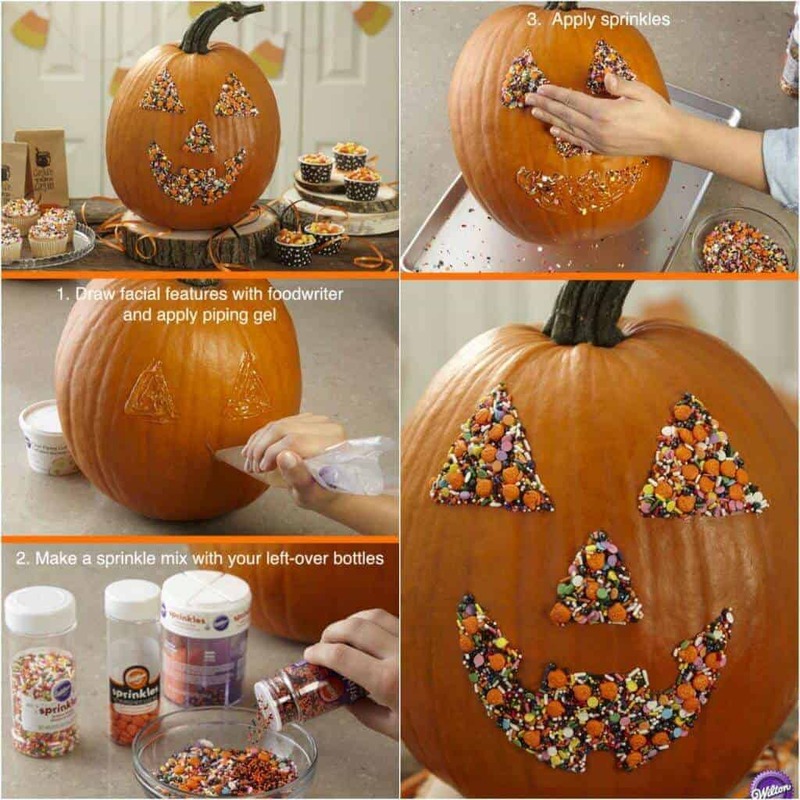 Easy pumpkin carving ideas without having to carve! Halloween is our favorite holiday! We love everything Halloween – some of our favorites are our Halloween Spider Cookies and our easy Halloween Mason Jar Luminaries! 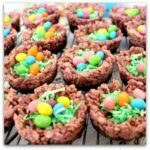 These are easy Halloween crafts and treats that you need to try! Can you guys tell how excited I am that the holidays are drawing near? 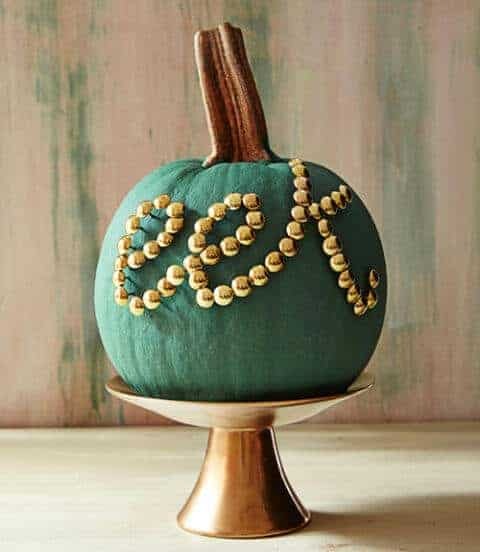 I love Halloween and today I wanted to showcase some of the most fabulous pumpkin ideas with you. All of these ideas are not only intensely cool, but they involve no yucky slimy mess. I don’t know about you, but OMG I hate cleaning out the pumpkin guts! I do love making roasted pumpkin seeds, but there is just something about sticking my hand in the pumpkin and cleaning it out that I just cannot stand. 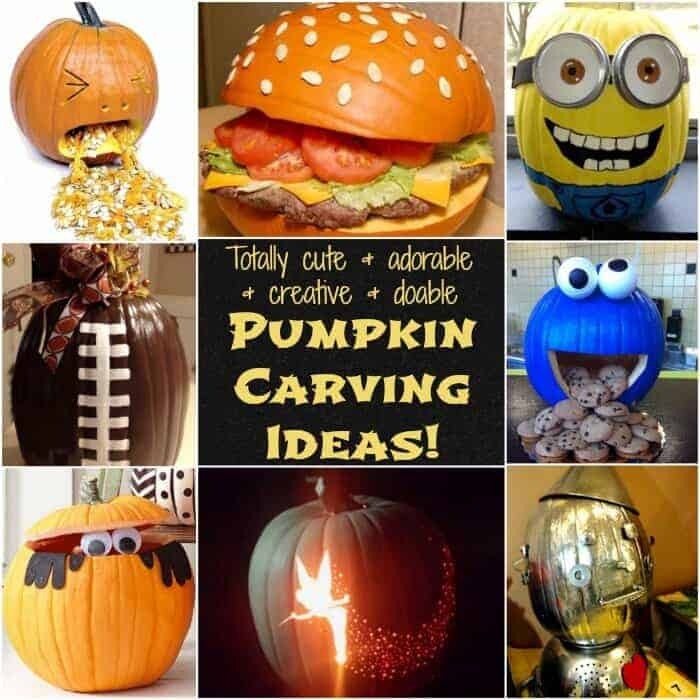 So every year I am on the search for No Carve Pumpkin Ideas! As I mentioned, you don’t get the mess, but the other thing I love about a no-carve pumpkins is that they last so much longer and you can enjoy them for weeks! 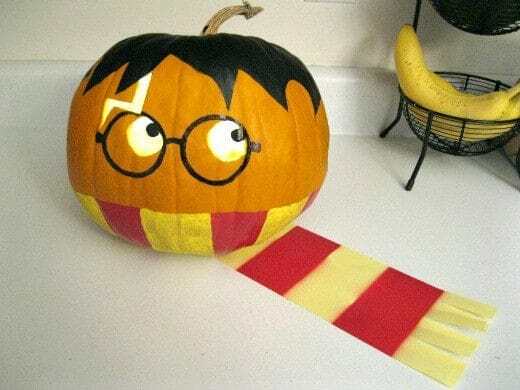 This Harry Potter No Carve pumpkin from Imgur is super cute! My kids adore Harry Potter and this will for sure be one of their favorites! 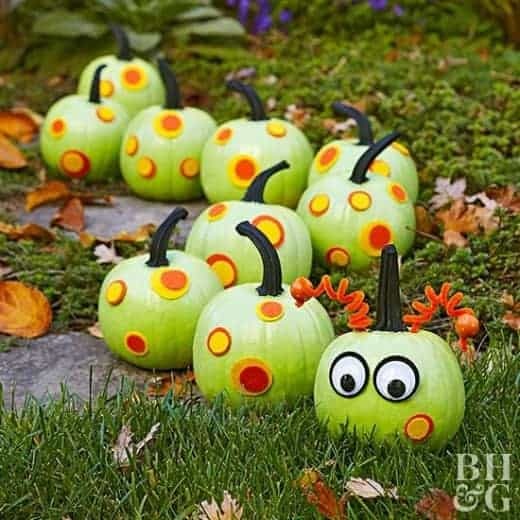 Super cute Caterpillar No Carve Pumpkin from Better Homes and Gardens. This is fun and super easy to create. You can just get the stick on extra large google eyes and some felt and some paint! 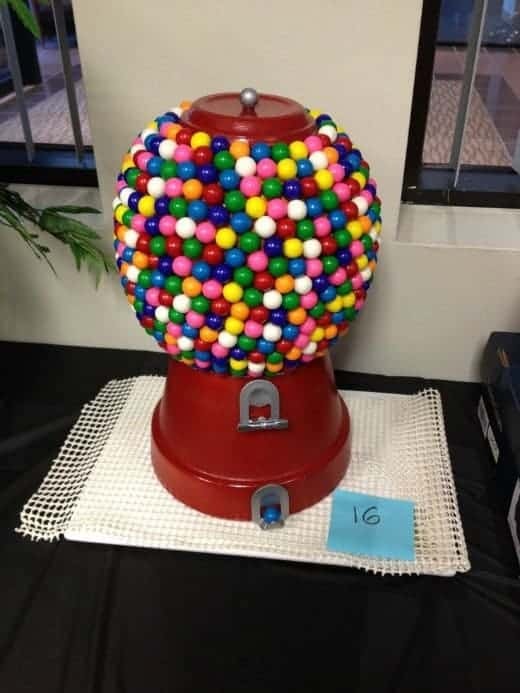 Bubble Gum Machine No Carve Pumpkin (source unknown, if you know the source please email me so I can give credit). This one may take a little more time, but I mean seriously, how cute is this! DIY Donut No Carve Pumpkins from Studio DIY. Everyone loves a donut, right? 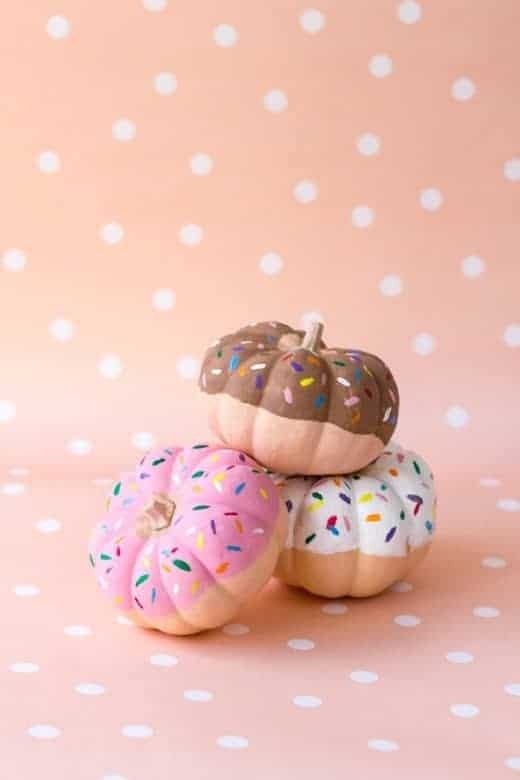 These donut pumpkins are easy to make and will look adorable on your front porch! 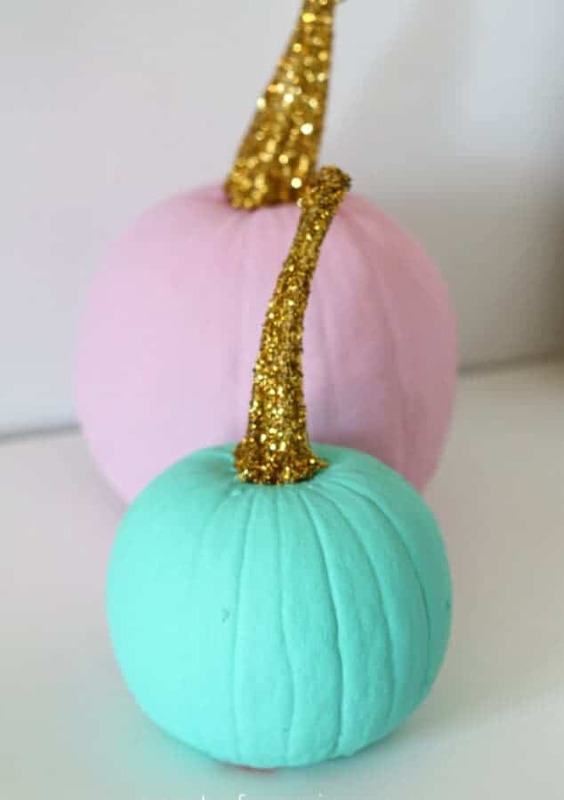 Tiered Pastel Painted No Carve Pumpkins from BHG. This is the perfect example that a pumpkin doesn’t need to be scary when it can be beautiful! Perfect for your princess or prince! 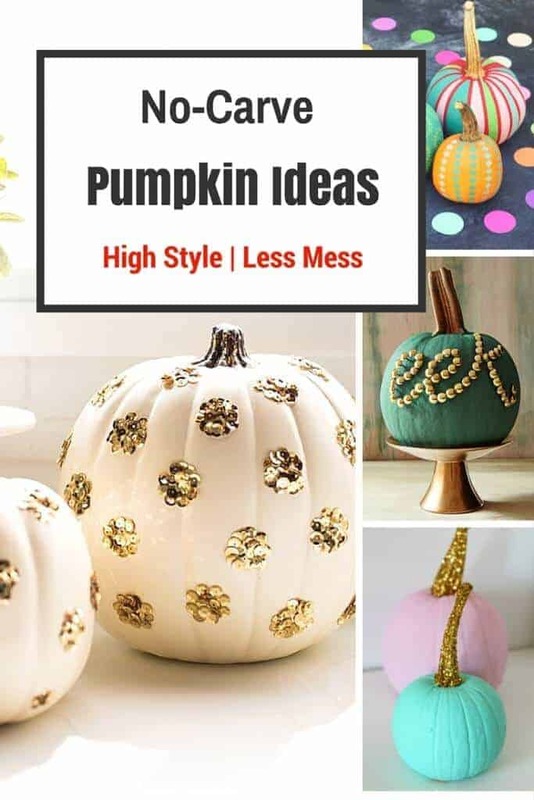 Sequin and Polka Dot Pumpkin by Sugar and Cloth . 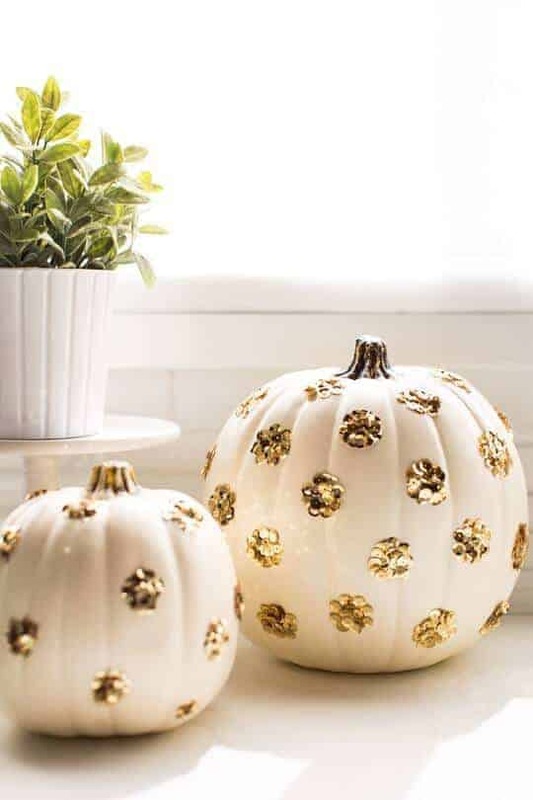 In my book, everything is better when it sparkles and pumpkins are no exception! 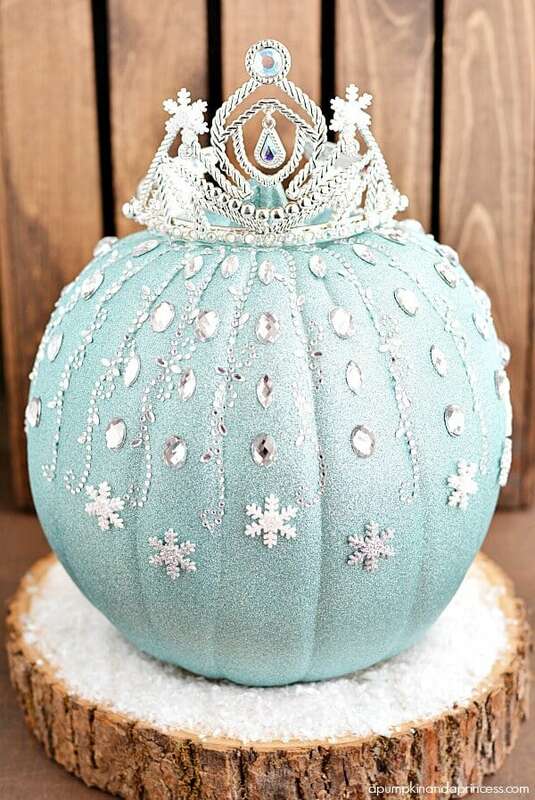 Disney’s Frozen Elsa Pumpkin by A Pumpkin and a Princess. 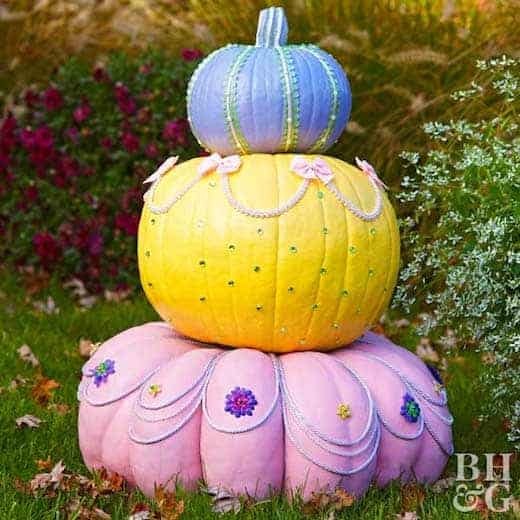 This Princess Pumpkin is perfection to me. I love the Frozen theme and again…sparkles… need I say more? 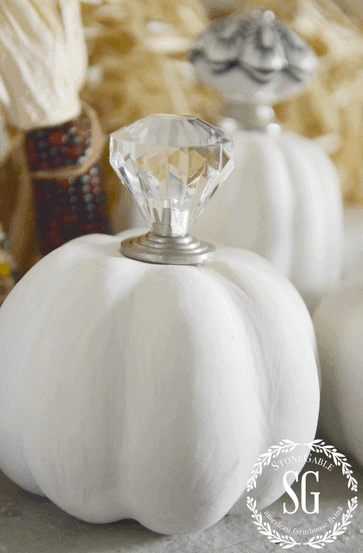 Vintage Knob Top Pumpkins by Stone Gable Blog . This pumpkin is the essence of simplicity. Watercolor Pumpkins by Nest of Posies. I love the pastels and glitter. It really doesn’t get much easier than this no-carve pumpkin! 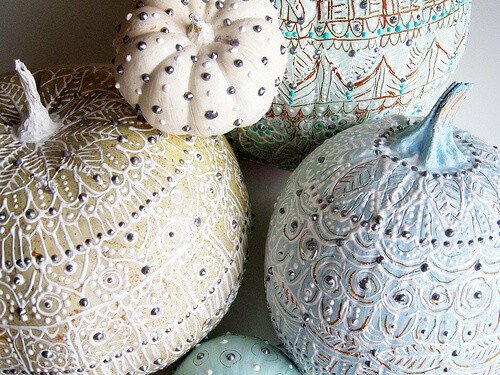 Pretty Painted Pumpkins by Alisa Bourke. So, these pumpkins may take more time, but they will for sure WOW your trick or treaters! Coastal Pumpkins by Sand and Sisal. 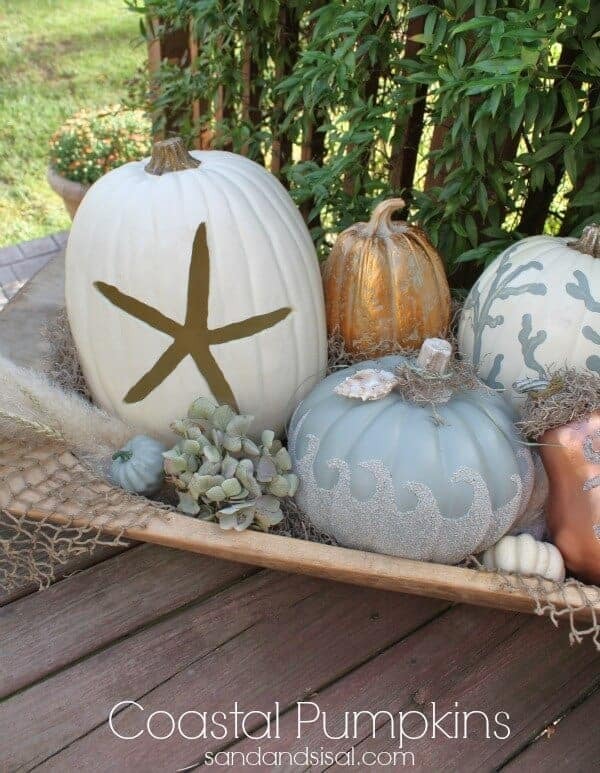 How can you not love these coastal themed pumpkins. 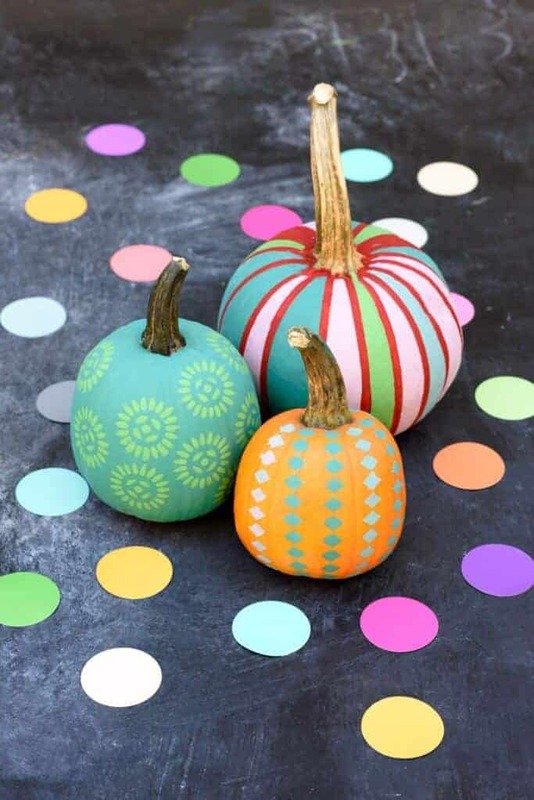 Patterned Painted Pumpkins by Handmade Charlotte . These pumpkins are all about letting your inner creativity shine. 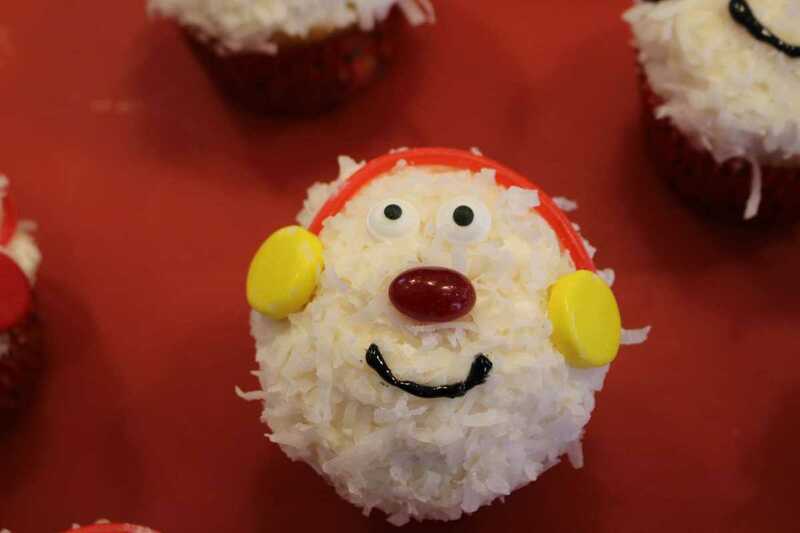 They are fun and whimsical and we love them! Thumbtack Pumpkin via Country Living . This is one of my favorites. You could really write just about anything… I may try this one with a “BOO” on it. Super easy too! 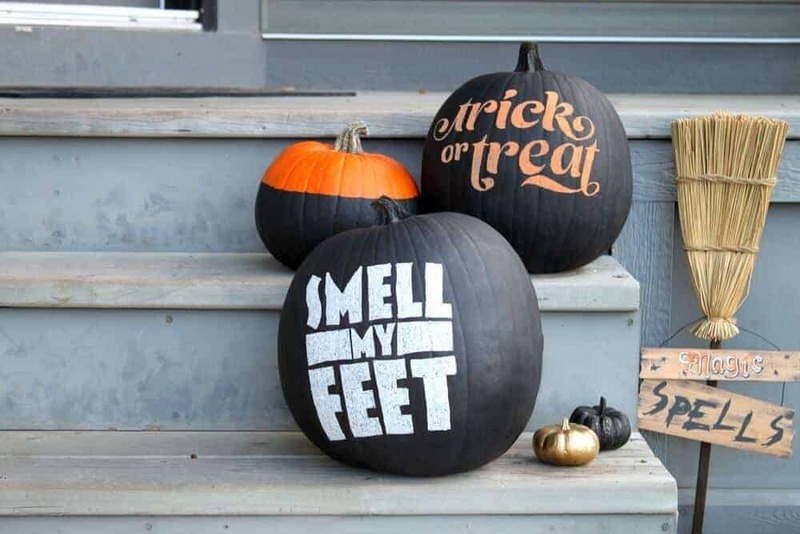 Chalkboard Pumpkins by Fair Goods. I love these pumpkins. I would need to use a stencil, but they cute and would really make a “statement”! I love your pumpkin ideas so i took it upon myself to write to you and ask if by any chance you know how to make belle from beauty and the beast out of material but it has to be on a pumpkin. 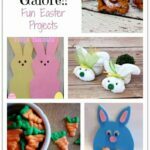 My daughter has a project and I’m so horrible witj coming up with ideas i need help badly please.